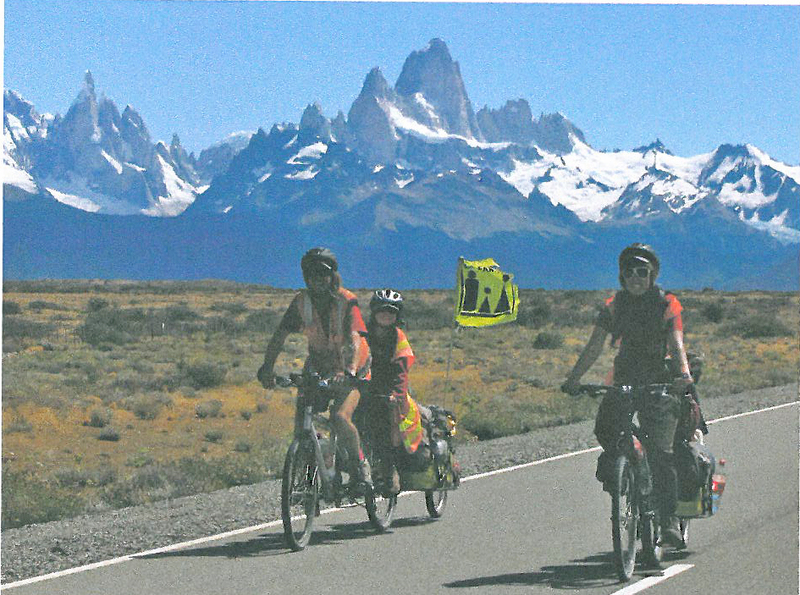 A mother and daughter from Achmore in Lochalsh are to give a talk later this month about their 16,500-mile family cycling journey from Arctic Canada to Patagonia. Ingrid Tomlinson and her daughter Kate recently published a book called ‘Teddy Bears on a Tandem’. The book, written from 16-year-old Kate’s point of view, is based on the journal that she wrote and emailed to her class at Auchtertyre Primary School during the two years that the family, including father Sean, were away. The book launch will be combined with an exhibition of Sean’s sculptures, and is scheduled for Achmore Hall on the weekend of the 25th, 26th and 27th August with the opening night beginning at 7pm on Friday 25th.